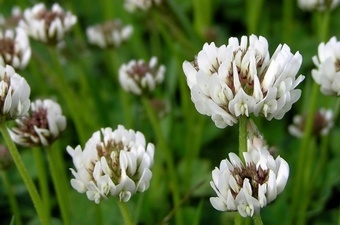 White Clover is an important plant in pastures because of its ability to produce its own nitrogen by organic fixation of N in the soil. Each % of White Clover in the pasture produces 2 kg N/ha/y, so up to 30 % of White Clover produces 60 kg N-fertilizer per year. With the rising costs of fertilizer there is substantial potential to improve income by making more use of clover in your sward. This unique seed coating technology provides the seed (ling) with additional water and nutritious elements from the very beginning. 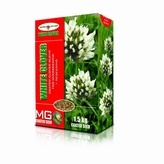 This innovative seed coat includes a water absorber, which ensures permanent humidity and a fast and safe germination. The additional water helps the seedling especially under dry conditions. Nearly every kind of seed can be supplied with our new WASP technology. 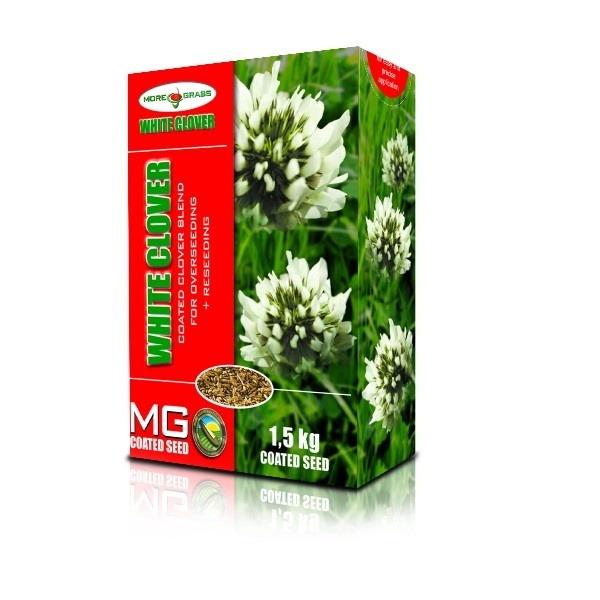 WASP White Clover is coated with non toxic ingredients consisting of 7 different layers with the following nutritious elements N-P-K-Ca-Fe-Mn-Cu-B additionally the seed coated includes a water absorber; the absorber is added to every seed in this last coating process.